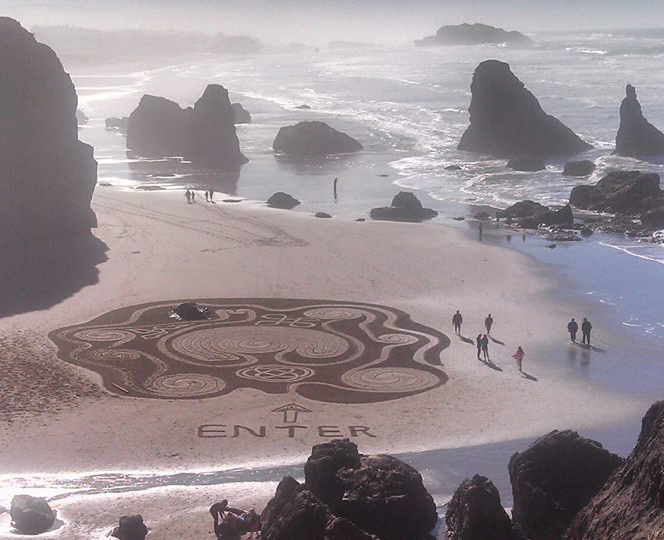 Experience one of a kind beach labyrinths in Bandon, Oregon. 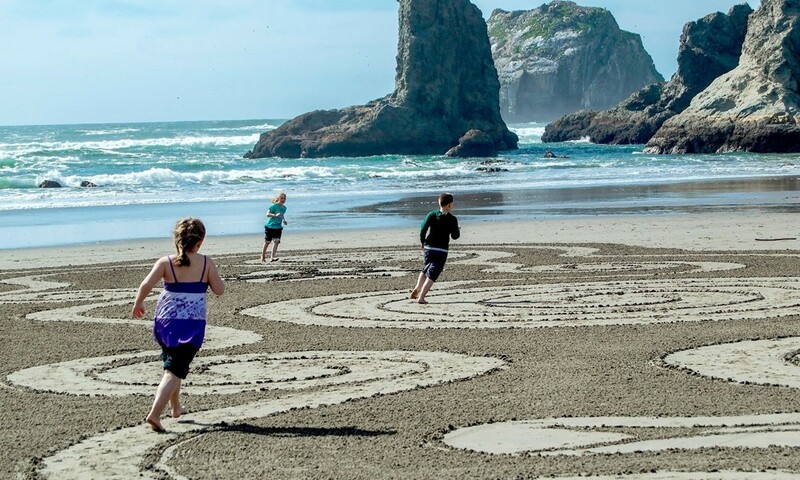 The ocean sweeps Bandon beaches twice every day, revealing a fresh canvas for labyrinth artist Denny Dyke. What began as a solo pastime has grown to a community experience: Dyke invites the public to share in the design, grooming the paths with a staff and a set of rakes. More than 100 beachgoers walked Dyke’s 2015 New Year labyrinth. “The more people visit me on the sand, the more it keeps me coming back,” said Dyke. Check the event calendar for labyrinth times and locations. Top image by Pam Hansen. Bottom image by Camy Taylor.